The Crown Windermere is designed for use in the Hospitals, Nursing homes and other extreme contract environments. The mattress is tailored in a highly durable, breathable, antimicrobial, urea and water resistant mattress fabric. The Crown's heavy gauge steel frame is finished in durable epoxy paint which is easy to wipe clean. High performance 360° steel castors make the Crown easy to manoeuvre and the lockable feature makes the bed easy to secure in place for added safety. 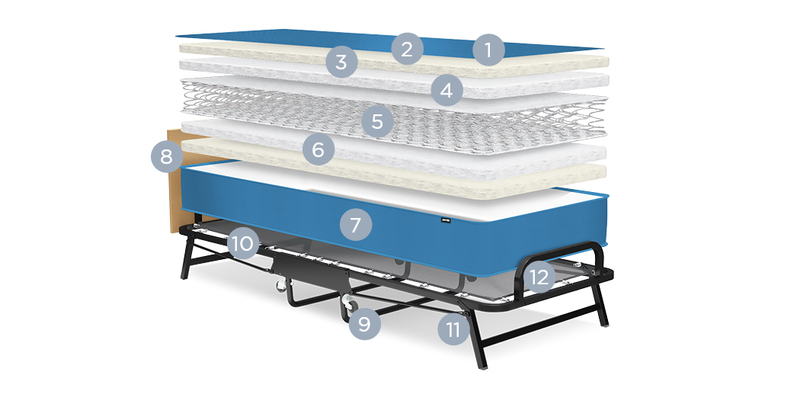 The J-Tex™ sprung base system to provide the ultimate in supportive comfort. The J-Tex™ base is made from PVC coated woven polyester, a specially engineered technical fabric designed to be stretch resistant and offer long term durability. 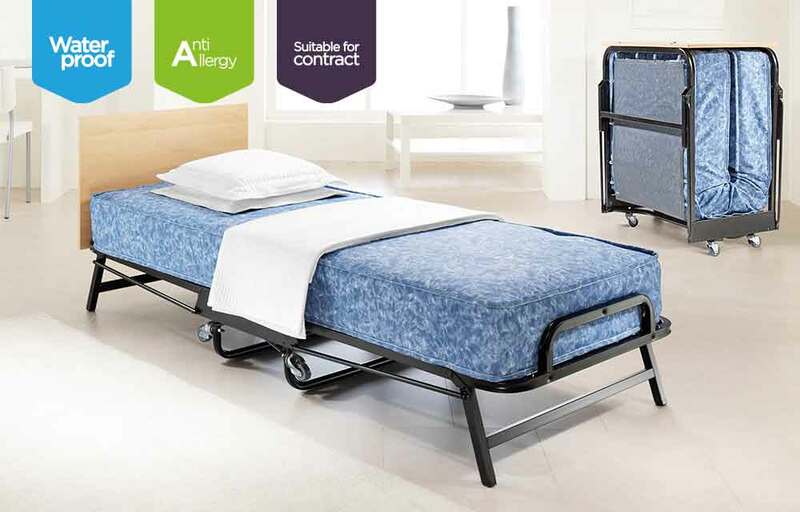 Suspended using high-tension springs, the J-Tex™ sprung base system is extremely strong and independently tested and proven to perform as well as regular permanent beds.This Jay-Be® guest bed achieves higher British, European and North American safety standards than normal domestic beds, making it suitable for use in the most demanding contract environments. Ideal for hospitals and nursing homes, the Crown Widermere's heavy gauge steel frame is finished in durable epoxy paint which is easy to wipe clean. The mattress is tailored in a highly durable, breathable, antimicrobial, urea and water-resistant fabric.